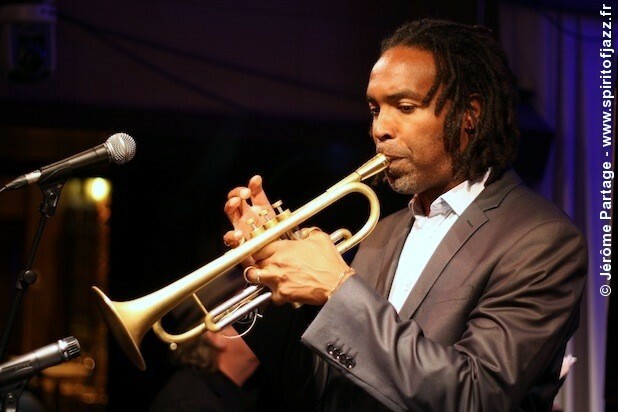 An energetic trumpet player and an alluring vocalist, Ronald Baker is both a demanding musician and an entertainer. With solid blues roots, this disciple of the Freddie Hubbard-Lee Morgan school has played in films by Alain Corneau and Woody Allen, toured over the world and received praise everywhere, Montréal, Montreux or Marciac… He has become one of the most sought after trumpet players in France, playing everywhere, whether in clubs or festivals, as leader or special guest, at the Jazz Club Lionel Hampton or the Caveau de la Huchette, the Castle of Arnouville or the Sorbonne University. Originally from Baltimore, educated at Oberlin Conservatory (Ohio) Ronald Baker learnt from the best— Jon Faddis, J-J Johnson and Donald Byrd. His musicianship has been tried and tested in many contexts and any stage will show you that Ronad Baker is a unique performer and leader. His musical vision is founded on a joyful energy, a constant concern for blending the melody with a natural feel for the blues. Ronald Baker created his own splendid quintet in 1996, boasting 7 albums that display his flair for putting forward everyone’s best. 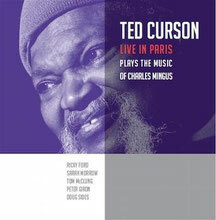 His French band members have brought their own artistic personality, especially Jean-Jacques Taïb (ts), Alain Mayeras (p), David Salesse (b) and New-Orleans drummer Jeff Boudreaux. Ronald Baker’s music celebrates a contemporary type of straight-ahead with powerful grooves influenced by Horace Silver and while the context harks back to a classic sound the original compositions are always full of inventive freshness. Joining the band on Quintet City (2010) special guest Antonio Hart on alto saxophone was the perfect sparring partner for Ronald Baker’s charismatic presence and flamboyant sound. On his latest album, Celebrating Nat King Cole, featuring no less than China Moses, Michele Hendricks and Jesse Davis, his relaxed bluesiness shines once again.